A Mermmelier is to oysters what a Sommelier is to wine. The knowledge, skill and experience necessary to earn certification as a Somm is significant because the value a Somm brings to bare is significant. The same should be true with oysters. A rare, exotic and fine wine can cost as much per sip as a rare, exotic or fine oyster. The consumer paying premium for fine wine deserves to be well informed and should receive great value for the money they are spending. We are committed to creating a world class certification program for culinary and hospitality professions such that they can do more with (and for) oysters! We believe the person in charge of a raw bar program should be every bit as qualified as a Somm that oversees a wine program. We also believe this creates opportunities as much as it delivers on promises. This is not something new for The French who have certified Ecaliér for centuries. Ecaliér is a verb. It means "to scale a fish". Thus, those who were skilled in this (and the preparation of fish) were a specialist in the French restaurant. This attention to detail is one of the things that has set French Cuisine apart for centuries. We wanted to create a term that was more specific to oysters. Mermmelier plays on the term Merroir, which is often used to describe the influences on an oysters taste, color, texture, size and shape. Merroir is derived from the French word for The Sea which is, Le Mer. So, this is the back story and the rationale for the creation of this education and certification as a Mermmelier. Soon we will begin to write the curriculum and invite chefs to take our course and earn our certification, the first of its kind anywhere in the world. Additionally food safety, sourcing, and service of surrounding raw foods is CRITICAL! 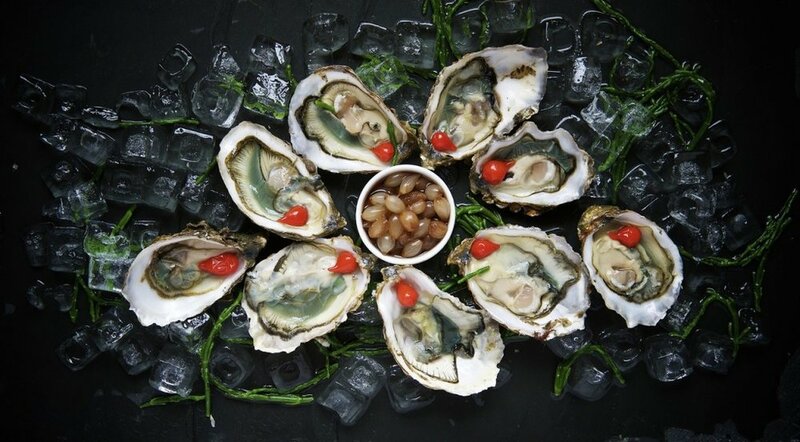 When we hear of somebody getting sick from a bad oyster it sends chills up our spines because we all know that this was most likely an oyster that was not sourced right, handled right or properly served. The resulting consumer fear is terrible for all stakeholders and, in most cases, easily avoided. Reach out to us with questions of to request more information through our contact page.